Coreprio has been updated to allow for inclusion and exclusion patterns (list of applications to target). These apply to all features of Coreprio. Wildcards are allowed. The console mode utility allows these as well, via the new ‘–inclusions’ and ‘–exclusions’ parameters. 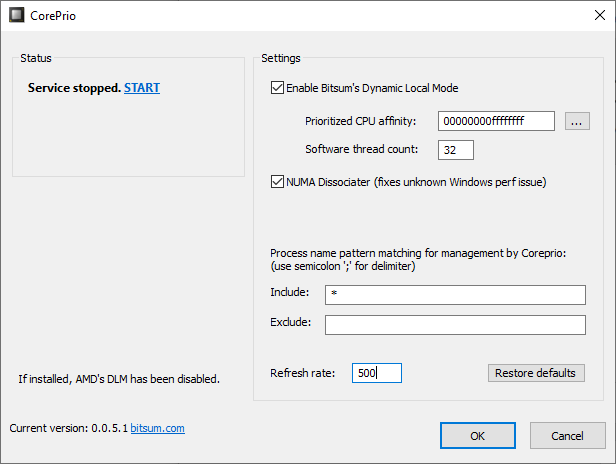 Since Coreprio’s Dynamic Local Mode works best for applications that do not put a full load across all CPU cores since there are then no CPU cores to prioritize, it may be ideal to exclude some highly multi-threaded applications. The full revision history is below.